20 Mar 2017 Washington D.C.
On Monday, former Denver Broncos great John Elway delivered his “highest recommendation” for Donald Trump nominee Judge Neil Gorsuch to be confirmed for the United States Supreme Court. 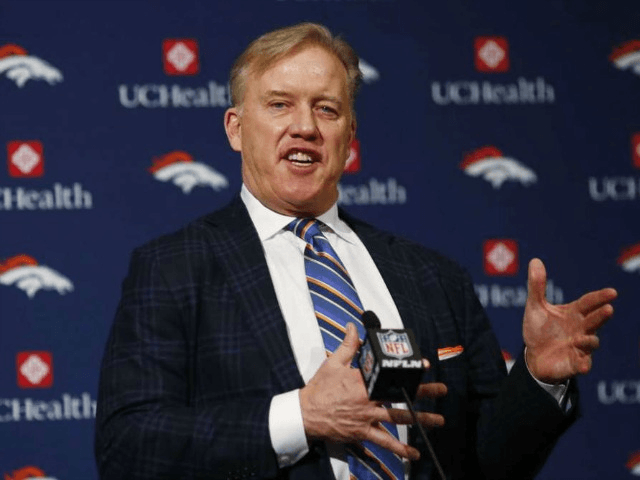 Elway supplied his endorsement via a letter sent to the members of the Senate Judiciary Committee, the group currently considering Trump’s nomination, the Washington Examiner reported. “It is with my highest recommendation that I support Judge Neil Gorsuch’s nomination to the United States Supreme Court,” the famed NFL quarterback said in his letter. Elway’s endorsement comes on the first day of confirmation hearings for Gorsuch, a Federal Appeals Court Judge, who was put forward by President Donald Trump to join the court after Justice Antonin Scalia unexpectedly passed away last year. Gorsuch has received unequivocal endorsements from a long list of officials and others as the committee weighs his candidacy. Republican Texas Senator Ted Cruz even noted that Gorsuch was confirmed unanimously as a candidate for the Court of Appeals. Indeed, Gorsuch received the support of such partisan Democrats as Sens. Hillary Clinton, Barack Obama, Ted Kennedy, and John Kerry.